This a trip down memory lane, as French and Grace was one of our initial posts. We went for lunch and here we are again … lunchtime … and on a strict timetable. The restaurant is one of the minority that are open on Tuesday and, even so, was sparsely furnished with customers although this is fast food, so there is a quick turnover. The eponymous owners used to run a supper club and then opened this restaurant in 2011 serving wraps. This remains their core business and we are pleased to see it survive in the now crowded food market of Brixton Village. Others have not been as lucky or have made it in a big way and now have extra outlets (e.g. Honest Burger and Mama Lan). 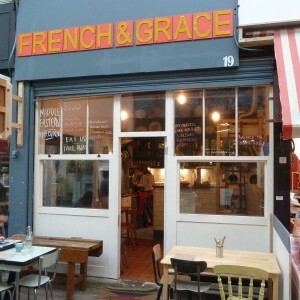 French and Grace just have a travelling wrap shack (see http://www.frenchandgrace.co.uk/the-streets/ for their locations this summer). As with all the Brixton Village restaurants it is small, very small; three inside table and the rest spill into the Avenue. Inside you do feel you are nearly in the kitchen but it does mean that you get a sense for what’s cooking. After going back to our initial post I was surprised to see that my comments here are little different. As already mentioned, we were on a strict timetable but this restaurant is more for those who have a lot of time. This is because the service is not as attentive as it could be, surprisingly so given the tiny space without too many customers. AMENDMENT: French & Grace informed us that the staff serving us on that day was on her frist trial shift. They thanks us for their feedback and will pass it on. The cuisine is middle eastern with sides of chilli corn, spiced almonds and nocellara olives, among others, available while you wait. 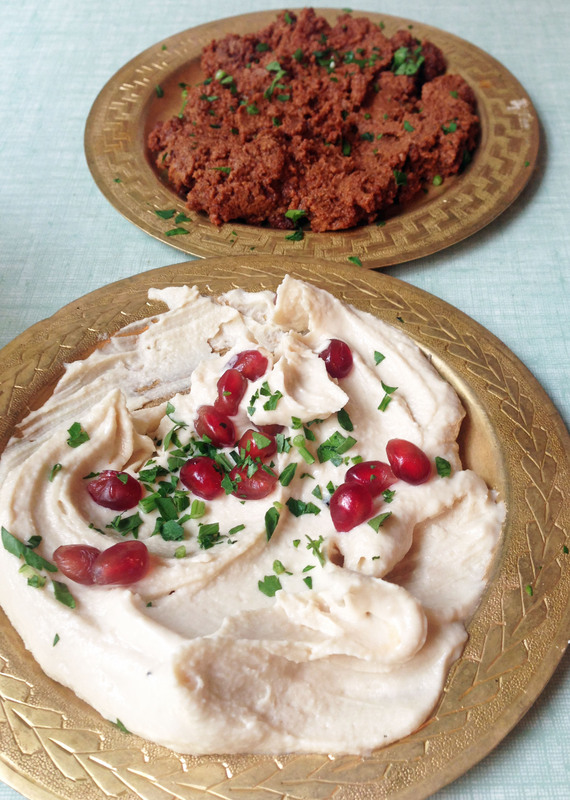 Then follows the mezze dips – butter bean and rosemary hummus (their spelling), baba ghanoush (an aubergine pate), Muhammara (spicy walnut and tomato) and yoghurt, sea salt and mint oil. 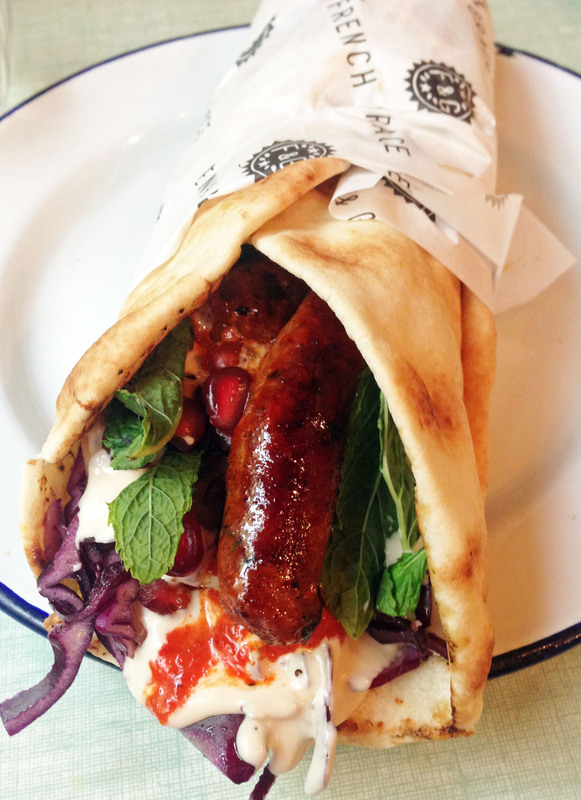 Then there are the wraps including “uber wraps” of flatbread with lamb merguez and chargrilled halloumi. These are clearly popular and form the basis of their wrap shack. There are also “specials” including pea and mint fritters, crispy chicken, pea, broad bean and feta salad and panzanella (?). We didn’t have the specials brought to our attention, so we went for two dips (hummus and Muhamarra) and a lamb merguez wrap. The dips arrived pretty quickly and both were really interesting, especially when eaten with the warm flatbread. 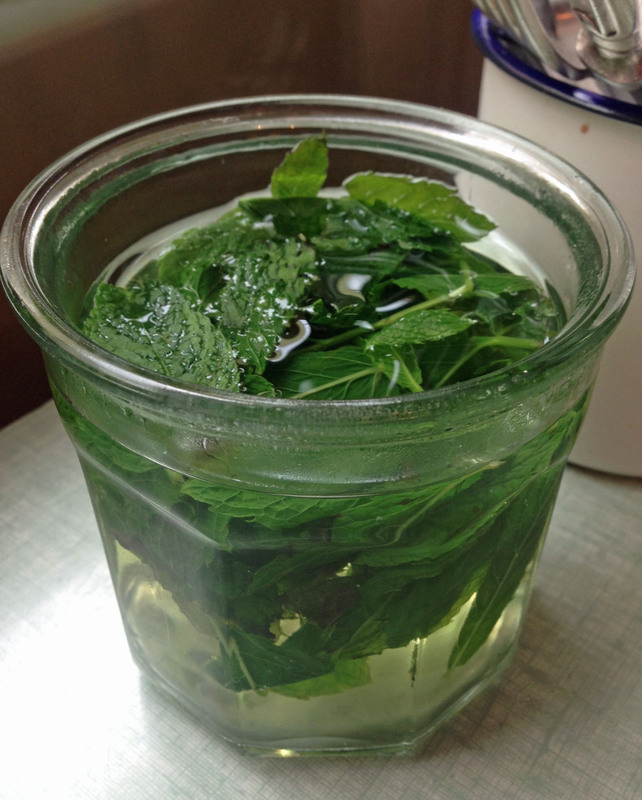 But after a little time it became clear they needed some salt (which never arrived) and some olive oil (which did). The oil made it less cloying and really perked it all up. So make sure you have these dishes to share – for one they were too much and after a time a bit boring. The wrap was as spectacular as ever and I don’t like wraps – its all that bread that tastes like felt rolled inside with no real filling. This was definitely a step above the usual …. the bread was wrapped but only once around a heap of flavour and texture consisting of red cabbage and bulgar salad, fresh mint, pickled chillies, pomegranate seeds, harissa and tahini with a lemon dressing and the bread ….not at all like felt! They do have puddings but we were stuffed …even for sticky toffee, ginger and salted caramel. We washed our meal down with water and then with mint tea (incredibly hot even after adding extra cold water) but they do serve cocktails – saffron gin, cucumber syrup and tonic or pomegranate lemonade with or without vodka, and for those who want adventure, a hot harissa bloody mary. As we mentioned we were on a timetable and it was surprisingly hard to attract the attention of the waitress. The wrap was very slow in arriving even though one of us had ordered it and nothing else. We had to ask for it after 25 minutes of waiting and then we wanted to pay the bill but only got it after we stood up to leave. The bill came to £17.10 without drinks or service. We think next time we will stick to their signature dishes … the wraps which are definitely reasonable value at £6.50.